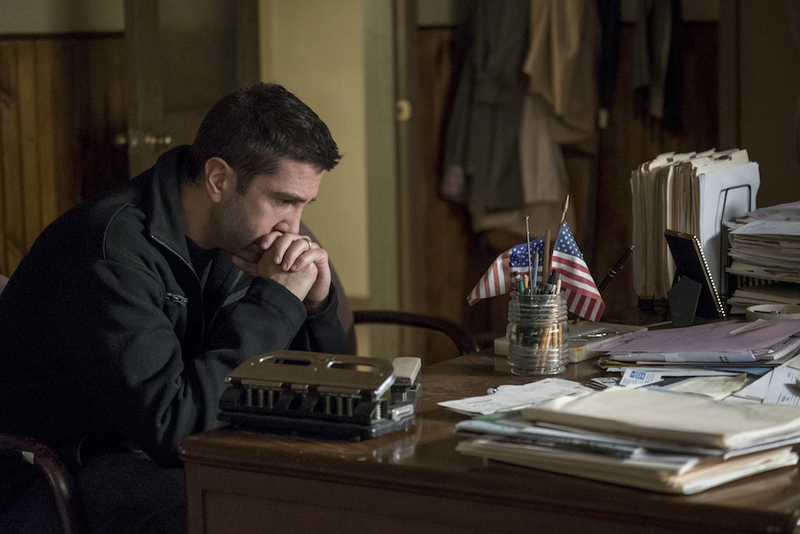 David Schwimmer didn't choose his first lead TV role since "Friends" lightly. Here's why "Feed the Beast" became the next step. 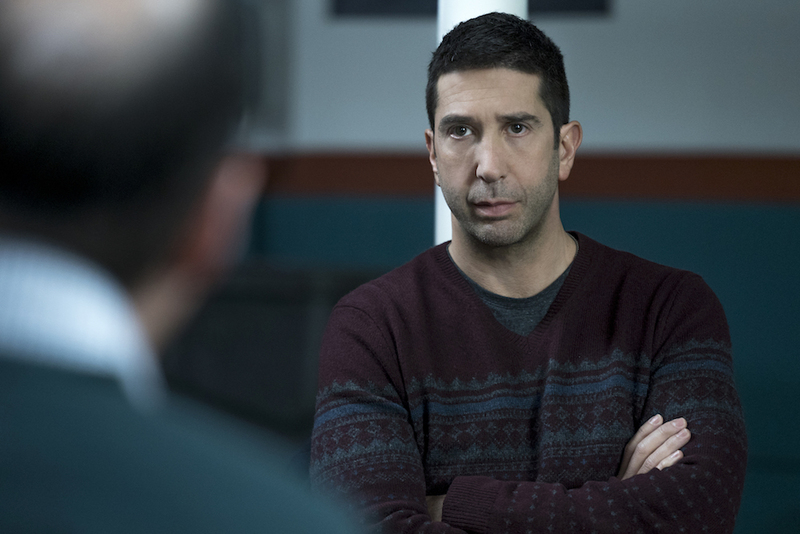 Since Ross and Rachel reunited one last time, David Schwimmer hasn’t been eagerly snapping up parts like the rest of his (ahem) friends. Matt LeBlanc has starred in two series since “Friends” ended, and he’s set for a third this fall. Matthew Perry has headlined four TV shows since he last played Chandler, including three separate sitcoms on three of the four major networks (Fox, you’re next). And we all know Jennifer Aniston’s been busy. But Schwimmer has been a bit more selective. The theatrically-trained Northwestern graduate branched out into directing (from TV shows like “Joey” and “The Tracy Morgan Show” to features like “Run, Fatboy, Run”), all while accepting small but memorable guest spots (“30 Rock,” LeBlanc’s “Episodes”) and supporting roles (“The Iceman,” “The People v. O.J. Simpson”). One could say he diversified his brand, but Schwimmer doesn’t think of it that way. To him, it’s about the creative and practical allures of a production, and how working with his dream script, director and co-stars weighs against the need to spend time with his daughter. IndieWire spoke to Schwimmer shortly before “Feed the Beast” premiered, and, amid regular laughs and brief contemplative pauses, he laid out what it takes for him to commit to a project and why “Feed the Beast” merited such a “huge” decision. Right, and is that something you thought about when you were taking the role? It’s a huge commitment for me, to be honest. There was no way in the 10 years after “Friends” that I was ready to sign up for another series regular commitment. All the creative reasons for this were in place for me, the fact that it shoots locally, and the fact, frankly, that it’s AMC; it’s premium cable and it’s only 10 episodes a year. Those are all big factors for me. That still provides enough freedom for me to do other things, like direct and act in plays or movies. Or just take some time off and be with my kid. TV has just changed so much since “Friends” ended. You’ve got shorter seasons now, you’ve got premium cable. Would you have returned to TV if it hadn’t developed like it has since 2004? Your question, to me, is time commitment and schedule. If TV didn’t change at all — so it would still be a commitment of eight or nine months of the year — then I can safely say no, I would not have committed to another series regular role. I think there were a combination of factors, to be honest. The first are more creative, like “Do I respond to the character? Do I feel like it’s going to be a challenge for me? Do I feel like I have something to contribute?” I really like the backstory of the character. For Tommy, it’s a guy who’s among the dead and it’s really about pulling him back into the world of the living. Over the course of the first season, as he’s being dragged back to life, the restaurant and this wonderful act of creation is being built around him. I just really like that story and the idea of a broken guy who’s trying to pick himself up and put the pieces back together. And the last thing for me is just that it shoots in New York, you know? [laughs] Where I live! I was not going to do another regular gig unless it was close to home. It’s that my daughter’s here, she’s got school — you know what I’m saying. Before this came up, were you actively pursuing a drama series? I wasn’t. I wasn’t, man. I had just done “The People v. O.J. Simpson,” which was actually a month longer than I thought it was going to be. I was in L.A. for seven months and it was a great job, but it was also really hard with my family being here in New York and me traveling and them traveling every couple of weeks to see each other. It was grueling for seven months. I wasn’t really looking for another drama. So the British comedy is still going to happen? Yeah, yup. We’re shooting it in September and October. And is that going to be shorter? Six or eight episodes? Yep, just six episodes for Channel 4 out there. Sony is the producing partner out here. Is it easier for you to land a comedy role right now? Is that something people are pushing you to do and you’re going after drama? Again, there’s no real strategy for me. It’s just like if there’s a terrific role that I somehow- or a situation, like with the Julia Davis thing, there wasn’t even a clear role, it’s kind of like “Curb Your Enthusiasm,” it’s improv, it’s mostly an improv based show. And I love doing that, I love doing improv, and I love her. I’m just a massive fan of hers, so when I got the call from the Sony guys saying “Hey, they’re thinking of creating an American character for this show,” I was like “I’m in! I don’t even know what it is, but I’m in.” I just want to work with her cause she’s so so brilliant. And then right after I committed to that, then my agent said “Hey, Clyde Phillips is doing a new show for AMC and I want to set up a meeting for you,” and I’m like, “Ok, cool. What is it?” You know? I mean, literally, that’s how it happens. And then I read the scripts and I saw the episodes of the original series and I met with Clyde and I’m like well this is kickass, this is great. You mentioned directing too, is that something that you are still pursuing? Sure, I love it. I love directing. I’m attached to direct a play off Broadway next year — and it depends on the “Feed the Beast” schedule — but I’m hoping I get to do it. And I definitely want to direct another movie. It’s the time commitment, though. I guess I know myself really well, and when I direct anything, I kind of disappear from friends and family for that time period. [laughs] And when it’s a play, that’s okay for six weeks, or for a pilot. For TV, that’s six weeks or so. But to do a movie and kind of disappear for a year and a half, I’m not quite ready to do that yet. I’m just enjoying, you know, I’m just enjoying being more present as a father and as a husband.